With a spectacular natural countryside and strong traditional uniqueness, Japan is a once-in-a-lifetime holiday destination. No wonder then, the East Asian island is also home to delectably fresh food and a lineup of world-class restaurants lining its streets. When someone says Japanese food and you think – Sushi! Ah, the Japanese cuisine is much more than sushi alone. The diversity of food can be seen with the variety of fresh vegetables, different meats, and seafood, both raw, cooked, and grilled. In fact, Tokyo is the unofficial culinary capital of the world considering the number of Michelin star restaurants the city has. The food served is nourishing, super-fresh, and imbibes seasonal products. Ramen: Found almost everywhere in Japan, it is egg noodle soup originally from China, now a staple in Japan. Although there are many regional varieties, Shoyu Ramen is the most common one. There are 4 major soup styles, the pork bone (tonkatsu), soy sauce, miso, and salt. 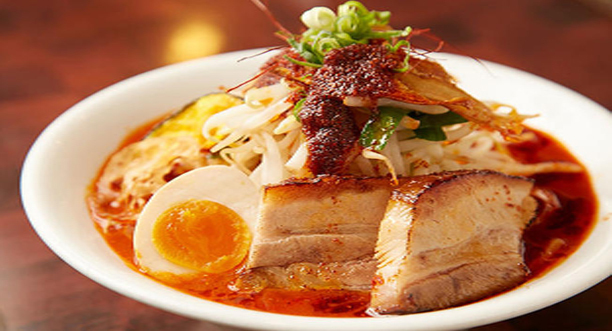 Fukuoka is known for its rich pork bone ramen, while Hokkaido is famous for its spicy miso ramen. 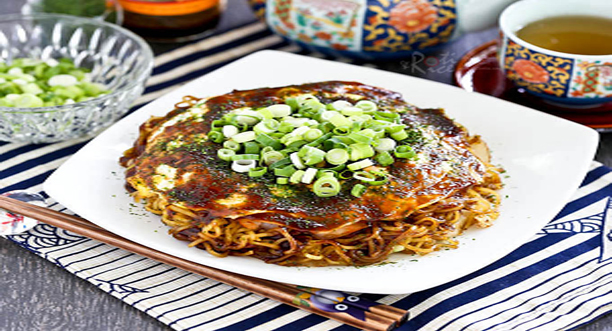 Okonomiyaki meaning “grilled to one’s liking” is a pancake stuffed with different ingredients, but mostly with cabbage and butter, topped with sliced meat, fish flakes, cheese, and more. It is a must-try delicious dish that is popular in the western parts of Japan, especially in Hiroshima. 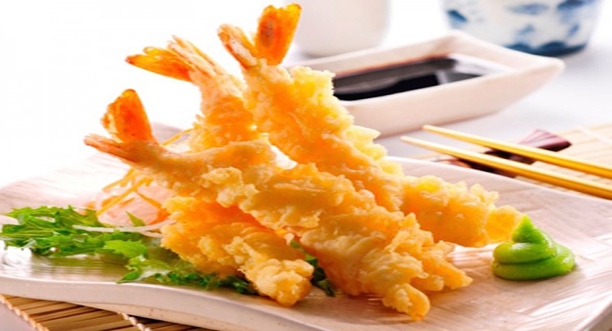 Tempura: Introduced by Portuguese traders to Japan, it is deep fried (coated in a batter) pieces of seafood and vegetables served with a soy sauce flavored broth with grated radish. The tempura prawns are not something you miss out on. 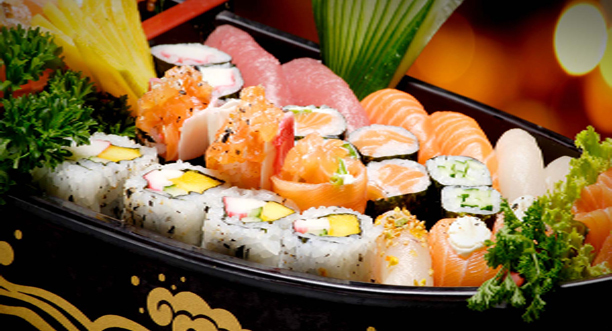 Sushi: Sushi is raw fish or seafood cooked with rice and vegetables and wrapped up as a piece of art. Sushi making dates back to 4th century BC, as a method to preserve fish sprinkled just with salt and covered in cooked rice. It is said that it takes three years to learn how to cook rice used for Sushi and eight years to cook the perfect Sushi! The city of Tokyo has some of the best Sushi restaurants in the world. But if you are looking for fresh Sushi, head out of the Tsukiji Fish market in Tokyo. Japan has surprisingly a varied cuisine which is healthy and tasty. Still worried about food limitations? Don’t worry, get Kesari Tours to customize a holiday for you.